Founded in Geneva in 1985, the World Organisation Against Torture (OMCT) is the main coalition of international NGOs fighting against torture, summary executions, enforced disappearances and all other cruel, inhuman or degrading treatment. Among its diverse activities, it is worth highlighting the submission of individual communications and alternative reports to UN specialized bodies and procedures and the personalized assistance and protection to hundreds of torture victims and human rights defenders. Al Mezan Centre for Human Rights was founded in 1999 and is based in the occupied Gaza Strip. Al Mezan works to protect and advance respect for human rights by supporting victims of international law violations, and enhancing democratic principles, community and citizen participation and respect for the rule of law in Gaza as part of the occupied Palestinian territory (oPt). In the framework of Al Mezan’s membership to the SOS-Torture Network, OMCT and Al Mezan have joined forces on multiple legal advocacy and capacity building activities to strengthen the protections against torture and ill-treatment in the oPt. Notably, they held a specialized training course on the rights of victims of torture and ill-treatment in the Gaza Strip in 2016, which was the first of its kind. The seven-day training allowed the 40 participants to learn and exchange good practices, in order to promote the rights and obligations laid out in the United Nations Convention Against Torture (UN CAT) and the Istanbul Protocol. Together with the United Kingdom charity Lawyers for Palestinian Human Rights, Al Mezan and OMCT submitted a joint written statement to the current UN Human Rights Council in its 37th session concerning Israel’s laws, policies and practices in regard to torture and other cruel, inhuman or degrading treatment or punishment (CIDTP), and the need to undertake structural reforms in order to ensure accountability. This joint written statement summarised grave issues and cases that were detailed in an urgent appeal submitted by these organisations to UN Special Procedures in August 2017. 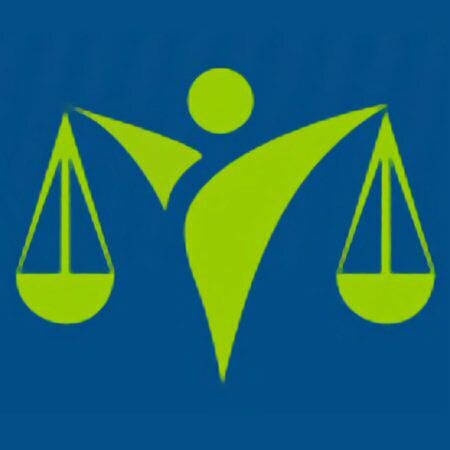 The urgent appeal to the Special Rapporteur on torture and other CIDTP and the Special Rapporteur on the situation of human rights in the Palestinian territories occupied since 1967, contained evidence of 23 incidents of alleged torture and ill-treatment of Palestinian residents from Gaza between 2014 and 2017 during their arrest and detention. The facts described in the urgent appeal are illustrative of a pattern of widespread and systematic use of torture and ill-treatment against Palestinian detainees, including residents of the Gaza Strip, held in Israeli custody. This widespread practice, in violation of the absolute prohibition on torture and ill-treatment under international law, is emboldened by Israel’s flawed legal and judicial system, which enables rather than deters the use of torture and ill-treatment, through systemically failing to hold perpetrators to legal account. For example, of the 19 complaints of torture and ill treatment submitted to the competent investigative authorities from these organizations urgent appeal, just three fact-finding investigations were opened, and two of these have been closed without charges filed. To date, not one indictment has been issued, and no progress has been observed in the “pending” cases. It must be noted that this is astonishingly unremarkable: after the submission of at least 1,100 complaints to the Inspector for Interrogee Complaints since 2001, the agency only very recently opened its first criminal investigation. Individuals working, living or accessing the ‘access restricted areas’ (also called the ‘buffer-zone’), such as fishermen, and in a more limited number of cases, individuals attempting to cross the border into Israel. In this context, it must be highlighted that Israel has for years refused to introduce audio-video recording of investigations of ‘security suspects’, which enables torture practices to continue without a record of the most damning evidence. Since the start of its military occupation in 1967, Israel has used imprisonment of members of the Palestinian community as a political tool to repress and maintain control over Palestinian society, in particular individuals engaged in resisting the occupation. A documented pattern of widespread and systematic use of torture and ill-treatment against Palestinian detainees held in Israeli custody, including residents of the Gaza Strip, has persisted. The practice of torture and ill-treatment is emboldened by Israel’s flawed legal and judicial system, which shields accused torture perpetrators and accordingly allows for impunity to be the status quo. Despite ratifying the UN Convention Against Torture in 1991, Israel refuses to comply with article 2 of the Convention, which requires states to criminalize torture within its domestic law. Furthermore, the Israeli High Court of Justice has provided for a “necessity defence” for interrogators, which is incompatible with the absolute prohibition on torture and ill-treatment provided for under international law. In addition, detainees under criminal investigation for suspected security offenses (“security suspects”) are denied critical due process safeguards. This includes lengthy periods of interrogation of up to 35 days before charges must be filed, delays in the provision of legal advice, exemption of audio-video-recording of interviews of detainees, and deprivation of access to visitation for weeks and even months. Israel’s illegal closure of the occupied Gaza Strip, with severe restrictions on freedom of movement for its Palestinian residents, entail a range of human rights violations that includes engaging the international law prohibition on cruel, inhuman or degrading treatment or punishment, and in particularly grave cases, the right to life. This is particularly documented in the denial or excessive delay in granting exit permits for Palestinians to access necessary and specialised medical care not available in Gaza. A joint press release by Al Mezan and other NGOs in February 2018 provides a striking update on the issue. It highlights the World Health Organization’s (WHO) grave finding that 54 patients, including 11 women and three children, died in 2017 after their permit requests to exit Gaza for medical care were delayed or rejected by the Israeli authorities. Further, the Israeli government’s control over Gaza’s border crossings with Israel and regulation of movement in and out often includes the detention and ill-treatment of patients, and coercion by Israeli security agents to give information in exchange for crossing permits, even for health reasons. According to the WHO report, in 2017, 603 patients from Gaza were requested for security interrogation (392 men, 211 women) as a condition to process their permit applications. Only 72 (12 %) of those patients were granted their permits in time for them to attend their hospital appointments. In December 2017, the Israeli High Court of Justice upheld the decision of Israel’s Attorney General not to open a criminal investigation into the cases of International Security Agency personnel who tortured a Palestinian man, Asad Abu Ghosh. The ruling amounts to a refusal of the Court to recognize some of the practices used by Israeli State agents as torture, despite their consideration as such under international law. – To encourage international oversight, such as country visits and inquiries by international mechanisms, including the UN CAT and UN Special Procedures, in order to investigate alleged torture and ill-treatment practices. In 2013, the Israeli Supreme Court rejected a petition by Adalah, Al Mezan, PHRI and PCATI against this exemption, which enables interrogation of mainly Palestinians without any recording. See the Press Release concerning this ruling at https://www.adalah.org/en/content/view/7920. The press release can be accessed at http://mezan.org/en/post/22378. In earlier publications, Al Mezan highlighted the rapid increase in patients deaths and ; presented 20 deaths in the report cited are those that Al Mezan was able to document—the figure is not to be taken as inclusive of all deaths in 2017. See page 21 of Al Mezan’s report, ‘Medical Care Under Siege: Israel’s Systematic Violation of Gaza’s Patient Rights’, available here: http://mezan.org/en/post/22333. In its ongoing research into patient deaths, Al Mezan can now verify and provide full documentation on 43 deaths (17 women, 23 men, 3 children) from 2017.